4 Bedroom Detached House For Sale in Weston-super-Mare for Asking Price £650,000. 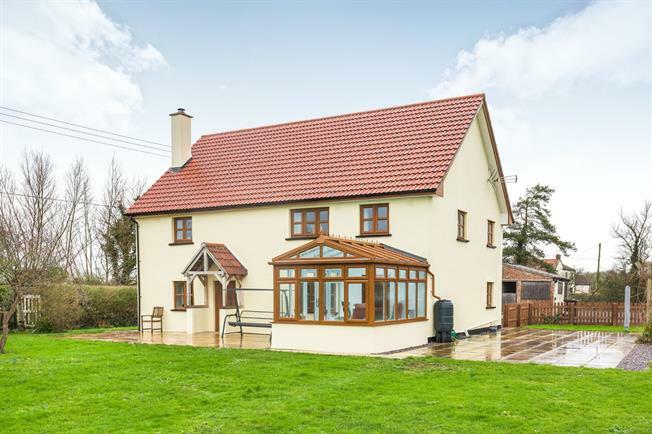 This fully refurbished four bedroom detached property is set within a total plot of approximately 3.5 acres and occupies a quiet location just a short drive away from Lympsham village. The property itself offers a ground floor comprising of a large living room in excess of 35', a kitchen diner with stylish country style kitchen, conservatory, utility room with WC and boot room. Upstairs the property offers four large double bedrooms, the master bedrooms benefits from large en suite facilities and there is a family bathroom which has been tastefully designed. Externally the property offers huge potential. Upon entrance via the gated access there is a large gravelled area for parking a number of cars in addition to four outbuilding and a garage which has scope to convert into holiday lodge or annexe subject to necessary consents. The house has a large lawned garden with two fields either side totalling 2.58 acres.